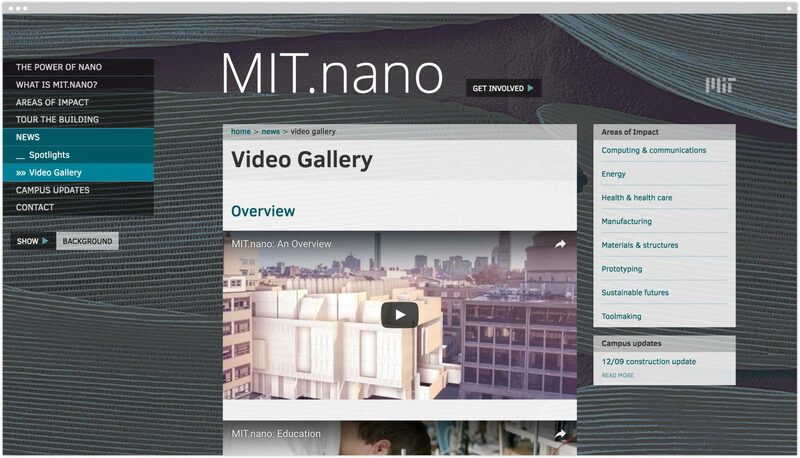 As a community portal, the day-to-day details of the ongoing construction and its ramifications are easily shared with the MIT community as a whole. 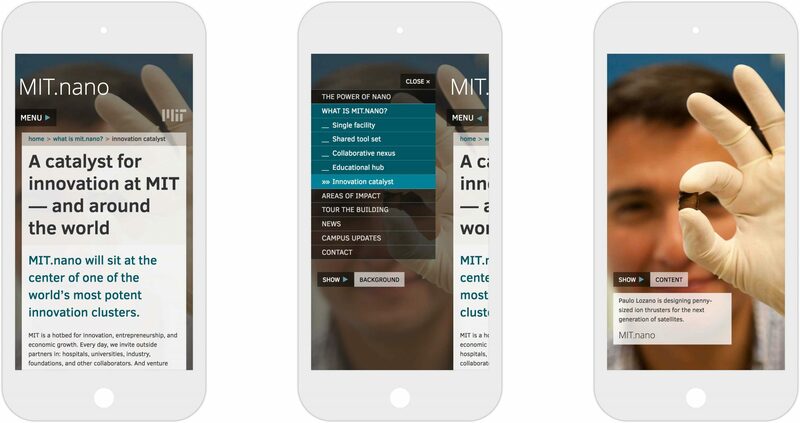 To meet these needs we created an extensible, responsive Drupal website. 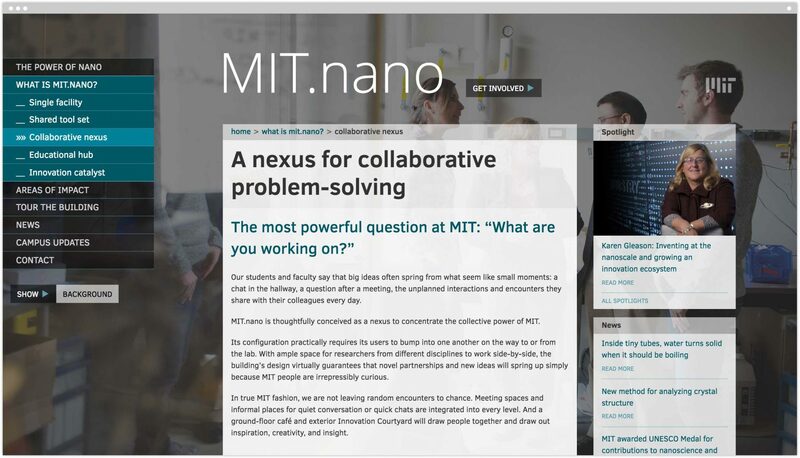 While meeting the rigorous MIT standards for accessibility and sustainability, we came up with a curated, semi-automated authoring workflow to ease editorial burdens of the client team by repurposing existing nanotechnology articles from the MIT News Office. 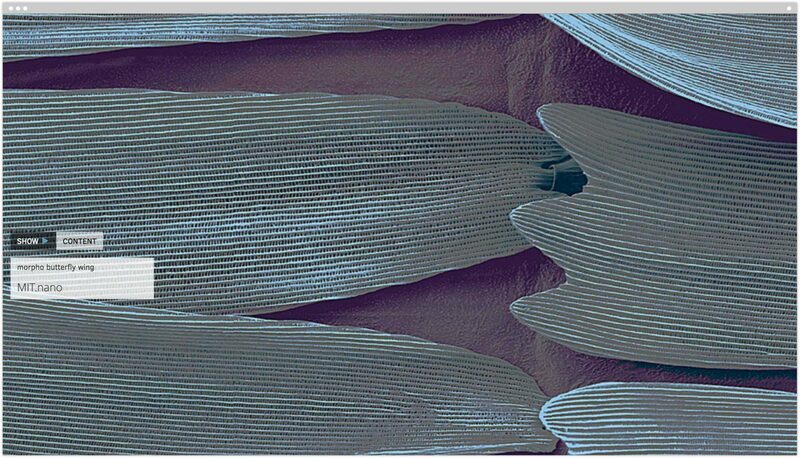 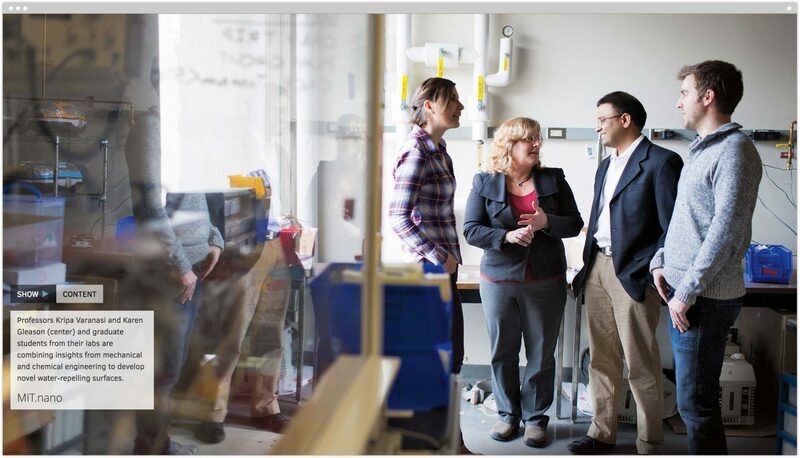 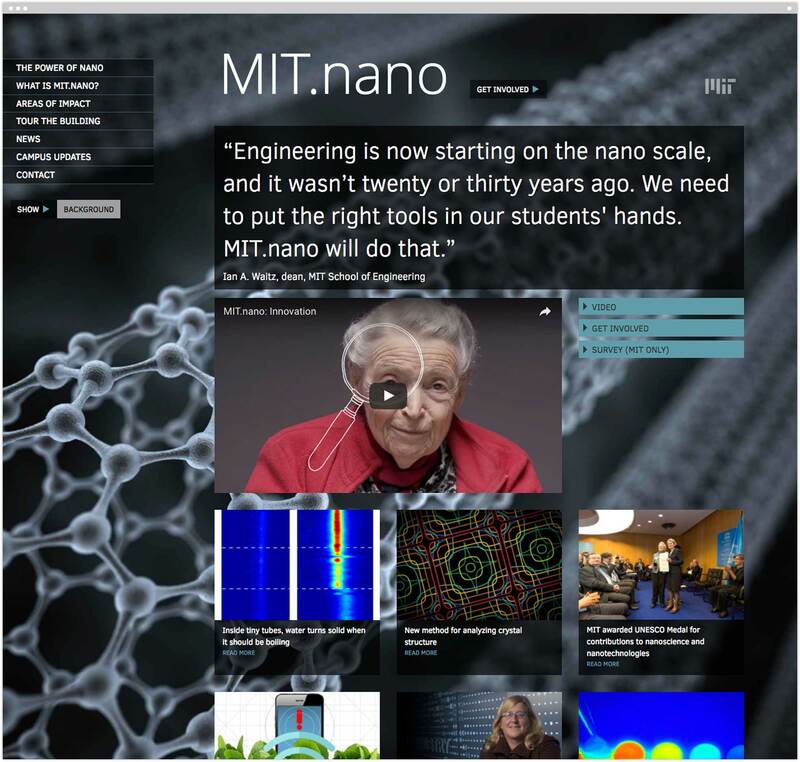 Our collaboration with the MIT.nano team continues as their advancement efforts ramp up and we evolve the site to meet those needs.